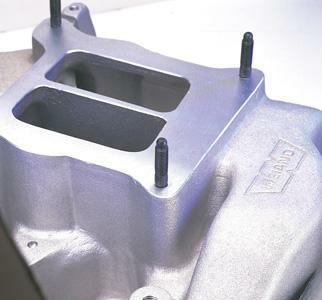 The best way to make sure that carburetors stay perfectly sealed to the intake manifold is through the use of ARP’s carb studs, which feature J-form threads to resist loosening from vibration. They’re offered in a variety of heights to accommodate most any combination of carb and spacer, and are available in 8740 chrome moly with a black oxide finish or rust-proof stainless steel. 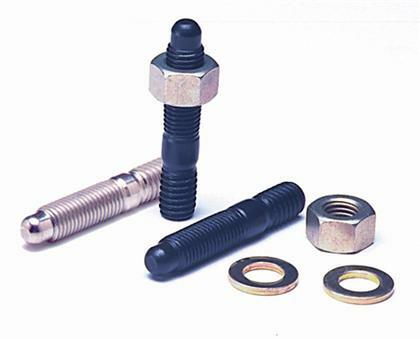 Special ARP Pro Series NASCAR type stud kits have one of the studs drilled to facilitate sealing the carburetor in the engine by race officials. All carb stud kits come with hex nuts and washers. The smart way to attach a Holley float bowl is with ARP’s special new bolts. They’re made from 304 stainless steel and are virtually impervious to corrosion. A polished finish makes them an enhancement to any carb. They are 5/16˝ wrenching and nominally rated at 170,000 psi. Available for both single and dual metering block applications.